“God’s Work, Our Hands” is the tagline of the Evangelical Lutheran Church in America. First Lutheran Church, Lodi, WI is an ELCA congregation. 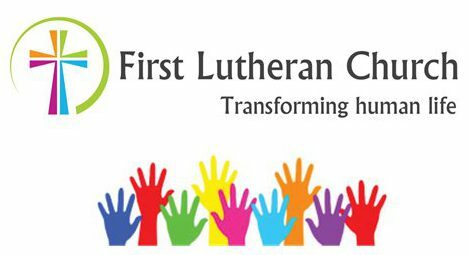 First Lutheran Church’s purpose is transforming human life into Christlikeness through practicing Christian community. Transforming human life into Christlikeness is God’s work. Practicing Christian community is the human agency through which God transforms not only human life but all of life. The local practicing Christian community is a creation of the Spirit for God’s creation. The congregation is reconstituted human community for the sake of the whole Creation, not for its own sake. Reconstitution is the ongoing re-formation of human life into Christlikeness by the Holy Spirit. The practicing Christian congregation is the collective self that loves and lives compassionately for the sake of the human neighbor and nonhuman Creation it is located. The basis for ministry of a local church for the creation is loving God and loving neighbor as self. Neighbor is inclusive of those affiliated with FLC, people in our neighborhoods and workplaces, people on the margins, the nonhuman Creation, the out-group other, and according to Jesus, especially our enemy. The definition of ministry at FLC. Ministry is the term used at FLC for the means of practicing Christian community for the Creation. The direction of those means are inward, outward and forward. The inward/outward structure of ministry is guided but the Apostle Paul’s dictum to “contribute to the needs of the saints and extend hospitality to strangers.” Rm 12:13, NRSV. Moving forward is ensuring healthy community, missional culture, and ongoing adaptation of the local congregation for loving God and loving neighbor as self. Leadership lovingly redirects and re-attunes the congregation when it is less than optimally functioning as God’s creation for the Creation. Additionally, leadership is responsible for establishing healthy flow of information and energy in the local body of Christ and the stewardship of its missional identity through centering prayer, dialogue, annual budgeting, staffing and future-oriented visioning/planning. Members are colleagues in Christ. Through baptism, affiliated members of the practicing Christian community are colleagues in Christ’s inward, outward and forward ministry. inward. Who besides the Holy Spirit, through the human agency of the saints (and sinners) gathered in the triune life of God, contributes to the needs of the saints? Groups. Formation, care and outward service begins and ends in the practicing Christian community through smaller groups. Equipping ministry structures environments, expectations and encouragement for the practice of Christlike, emotionally healthy community through quads, one-to-one mentoring, ministry teams, spiritual direction, lay-driven spiritual care, and missional community. Community-based, Mutual Spiritual Care. The individual receives care through his group. The individual extends care to members of her group. Groups provide community-based spiritual care in the local body of Christ, the practicing Christian community. Soul Formation. The individual is growing in Christlikeness through participation in a group or mentoring relationship led by a healthy, self-aware leader. The leader by definition is a student him- or herself who commits to sustaining personal health and increasing self-awareness through mutual accountability and ongoing personal development. Outward Concern: Equal regard, Hospitality, Service and Peacemaking. The group holds themselves and the individual member to the practice of healthy, direct and respectful communication with others. This value is maintained without exception as the first step in any conflictual situation. The leader is the intentional conscience of the group, but all individual members are expected to mutually hold and encourage one another to this Christlike standard. Compassion for the out-group member is a behavioral value. Equal regard means loving neighbor as self. Property, facilities and their location. Ministry groups, initiatives and programs. forward. “A future with hope.” Adaption is normal and ongoing for the sake of the Gospel but it is hard work. Ministry is constructively, actively hopeful through healthy leadership. Leadership ensures the body of Christ moves forward with God’s continuing re-creation of the whole Creation, including the congregation. Leadership guides the body of Christ in order to prevent atrophy, misapprehension, misattunement and regression. Leadership calmly curbs hurtful anxiety and redirects the body of Christ toward loving God and loving neighbor as self. The journey. First Lutheran Church is on a transformational journey. Below are resources from ChurchNext that might help make better sense of congregational transformation.